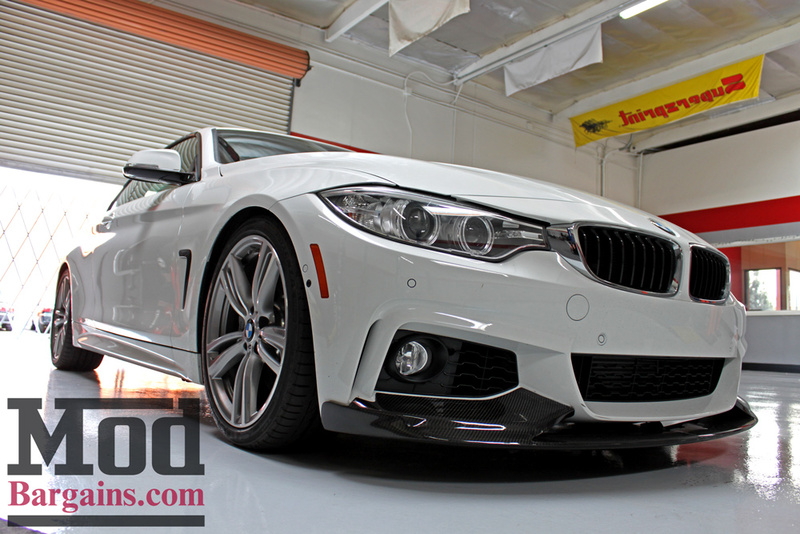 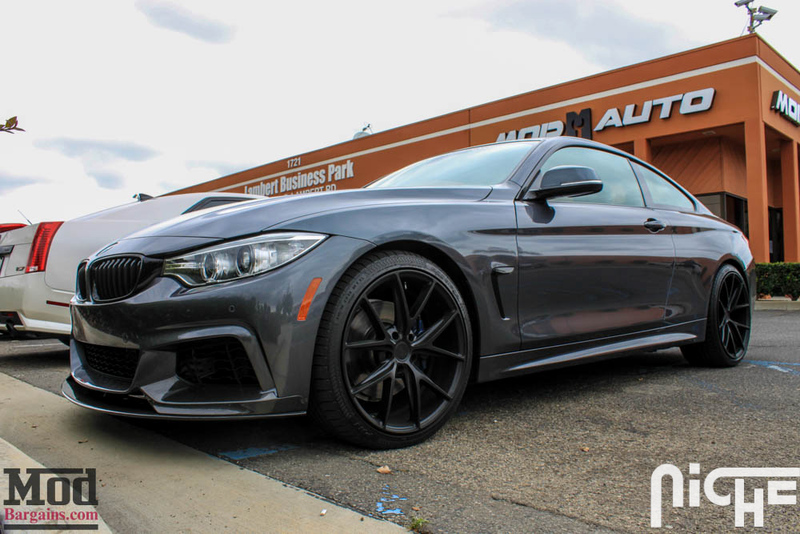 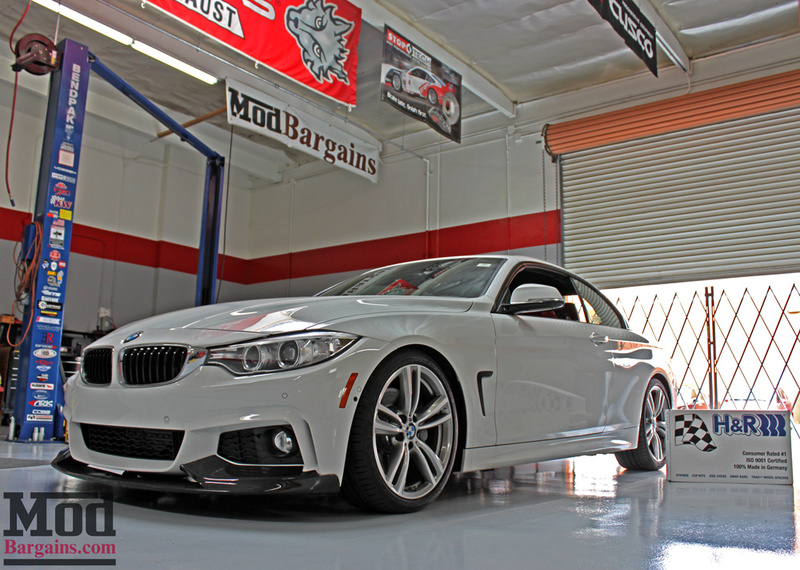 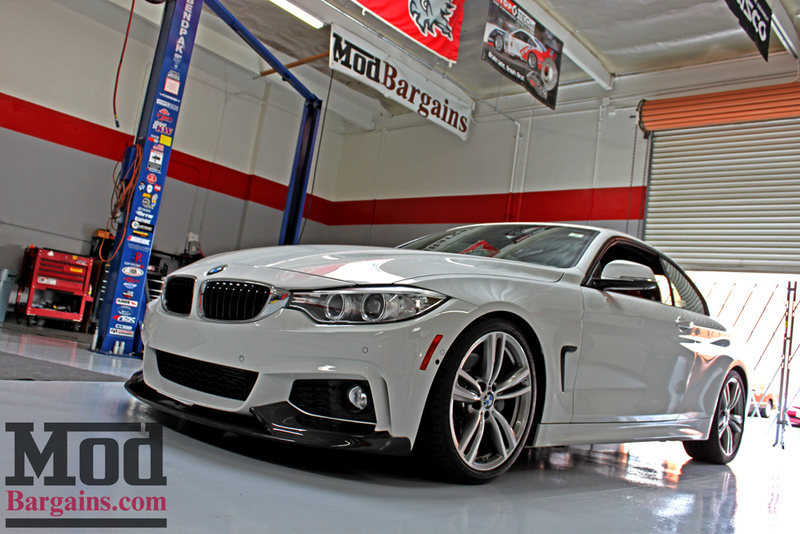 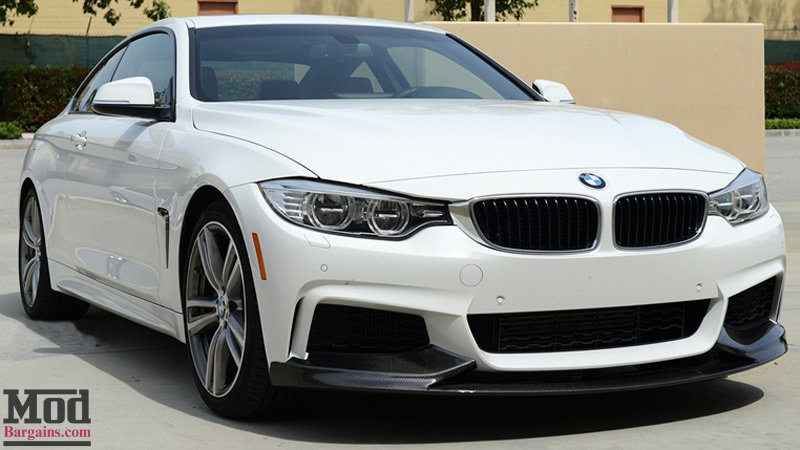 Give your F32 BMW 4-Series M-Sport a more sporting aesthetic with this carbon fiber front lip spoiler, available at ModBargains. 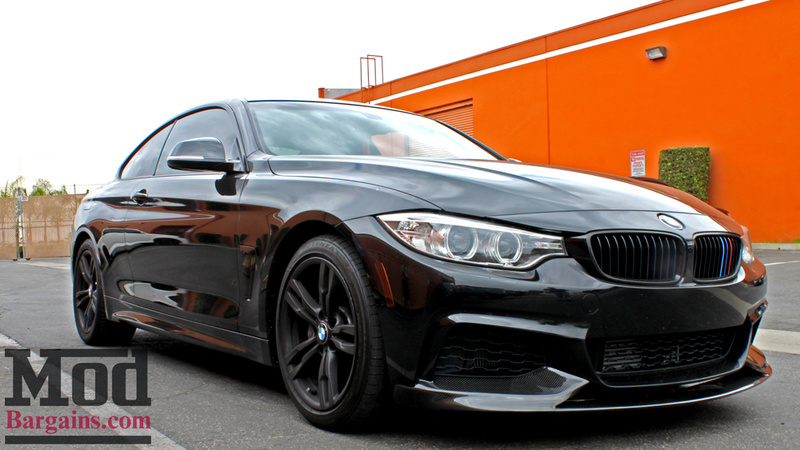 For 4-Series with M-Sport only. 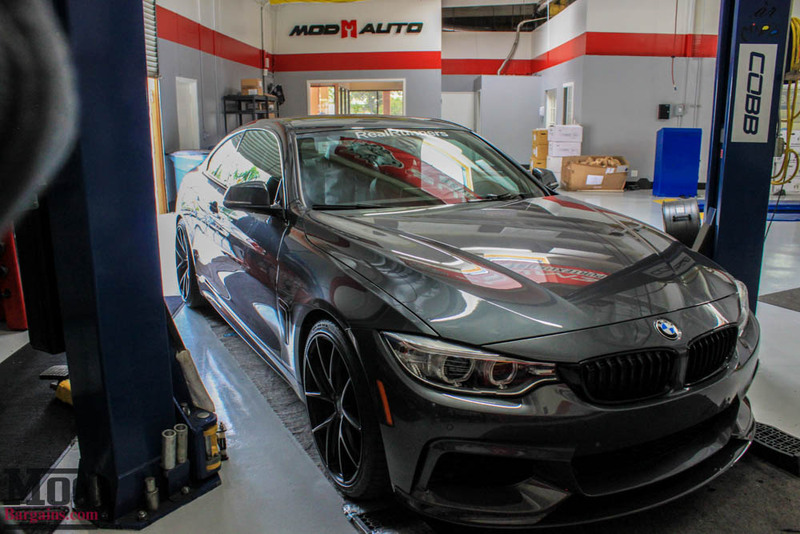 DOES NOT FIT M4. 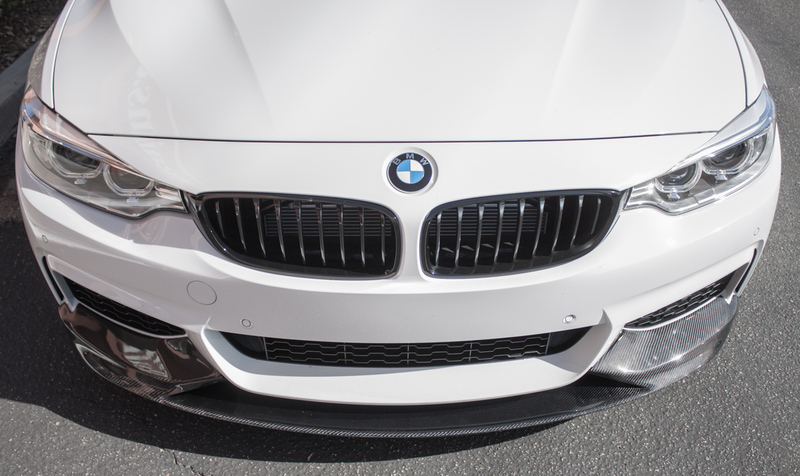 Are you looking to add an aggressive and sporty look to your BMW F32 4-Series with M-Sport Front Bumper? 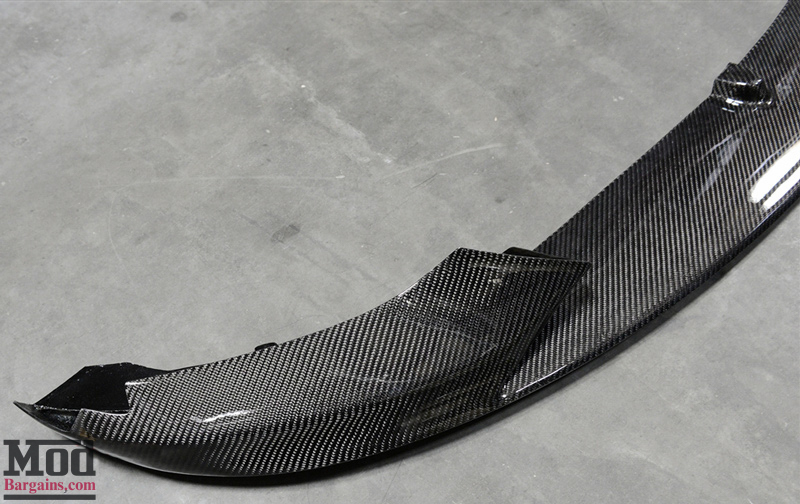 Well this Carbon Fiber Performance Style spoiler for the 4-Series M-Sport is a great solution. 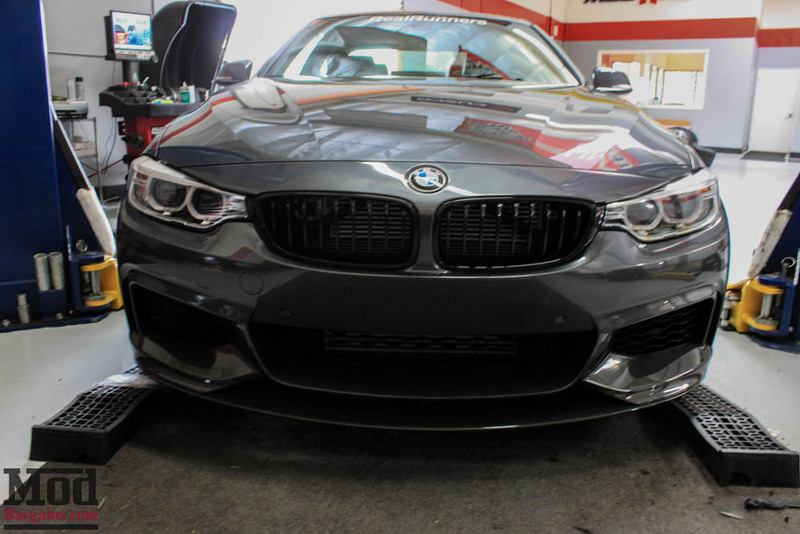 When it comes down to it, this lip is the best in carbon fiber and FRP constructed exterior parts. 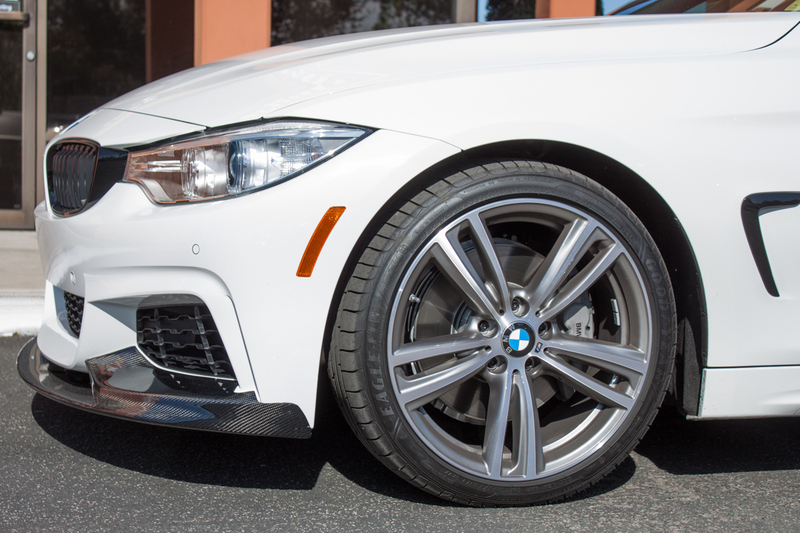 It is extremely rigid because of its true carbon fiber construction with thick clear coat to give it the stiffness needed for durability and performance. 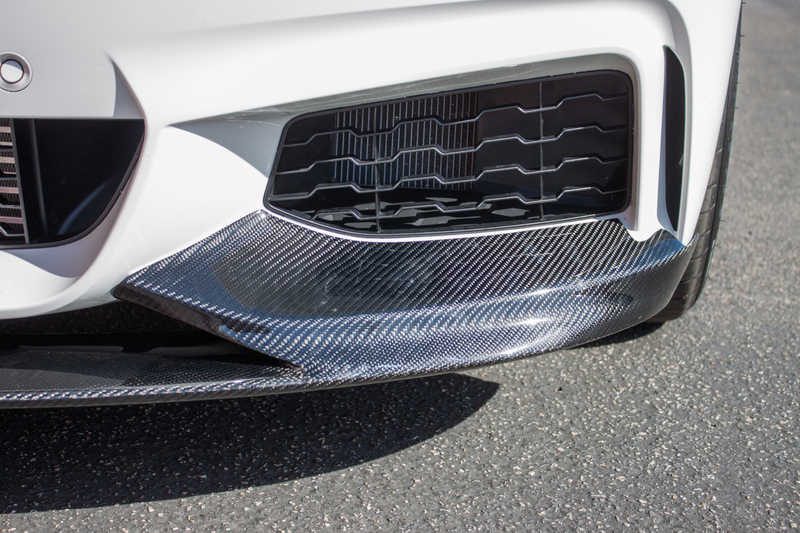 If most carbon fiber products sit out in the sun, they will do one of two things. 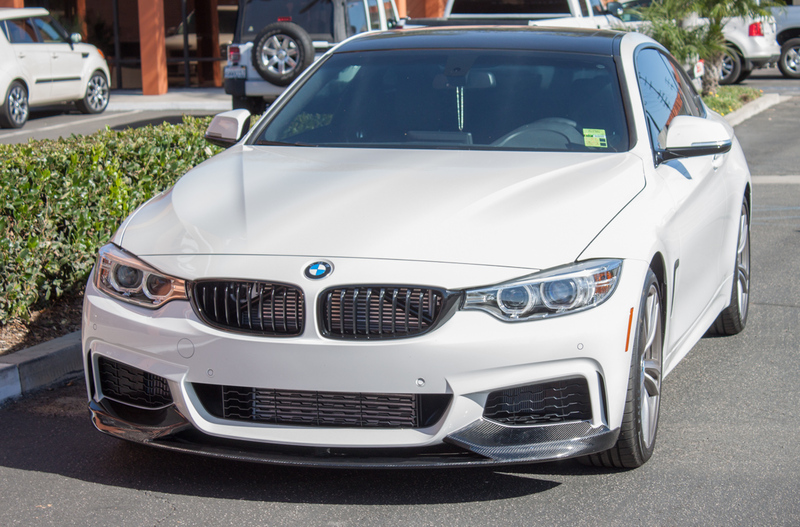 They will either yellow and start to rot from all of the direct sunlight, or the clear coat will peel right off and leave the actual weave unprotected from the elements. 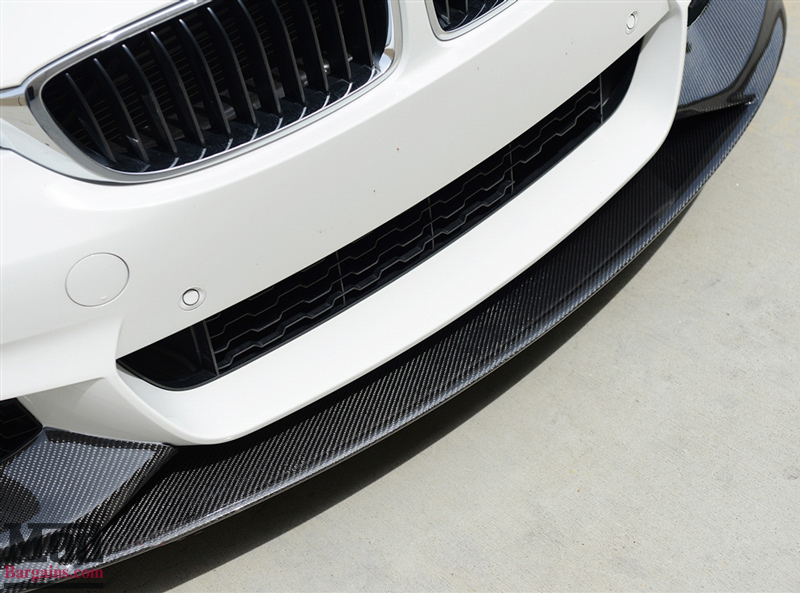 With this Carbon Fiber Front Lip Spoiler, you get a UV protective coating that ensures that your carbon fiber gives you the look and performance from day one all the way through the rest of your car's life. 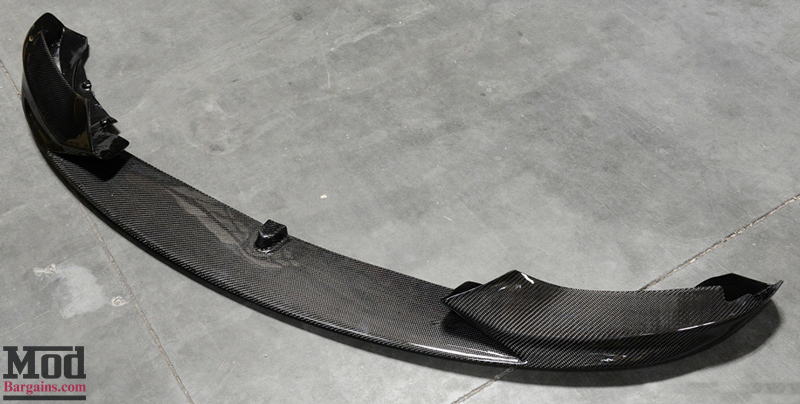 Now that's how a carbon fiber product should be! 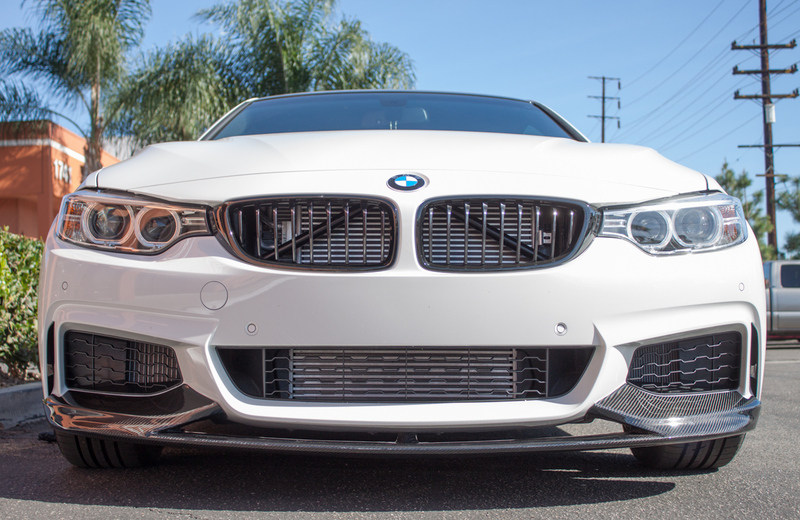 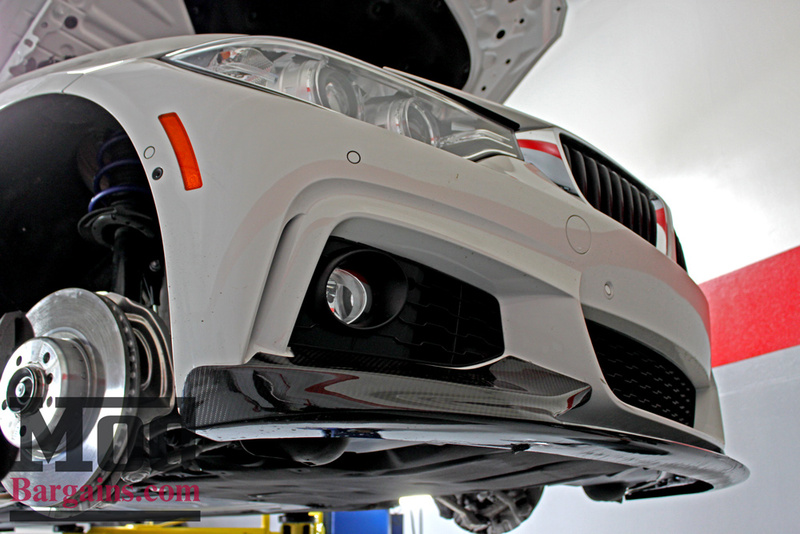 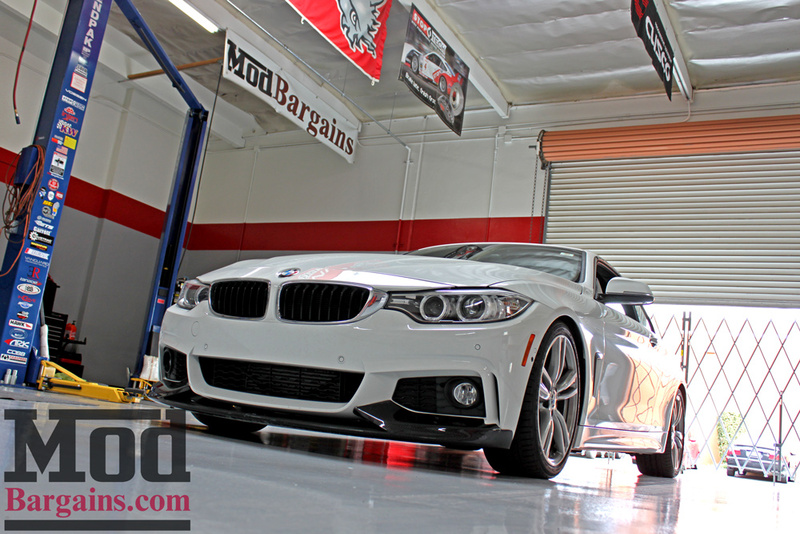 So if you're interested in getting an Performance Style Carbon Fiber Front Lip Spoiler for your BMW F32 4-Series , give ModBargains a call at 714-582-3330 to make an order and schedule a time for an installation.